Thanks! I do enjoy having the chance to add some extra color to a frame! Thats a splendid shot - have to say that the yellow is great addition to the picture. Thanks, Stewart! The foggy skies helped to make the yellow stand out even more. 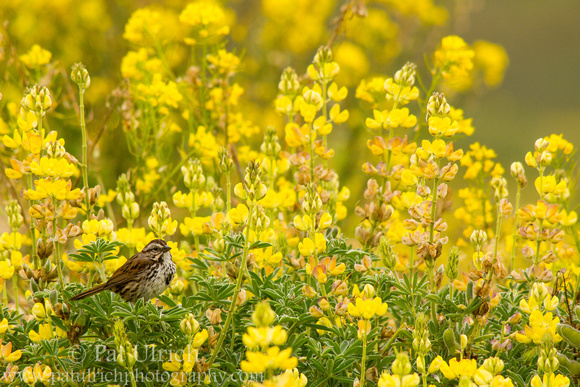 Beautiful photo of the sparrow with such gorgeous wildflowers as a backdrop!